Doncaster Rovers are attempting to sign former Real Madrid midfielder Mahamadou Diarra and West Ham striker Frederic Piquionne, BBC Radio Sheffield reports. Mali international Diarra, 30, made 122 appearances for the Spaniards and was most recently at Monaco, who released him this summer after their relegation. 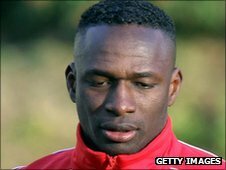 One-time France international Piquionne, 32, has failed to score in seven games for the Hammers this term. Rovers signed his team-mate Herita Ilunga earlier this week. Diarra could play in the Africa Cup of Nations for Mali in January and February next year, if his country qualify.